Just drop the file into your mods folder. That's it. Modpacks: you can freely include any of the mods in your mod pack if the modpack is free (public or private). Mentioning me as the author is appreciated but not required. Youtube/Streaming: you can monetize any videos you produce with the mod. I know how to use the replace command, but how do you use it to replace a block with light gray concrete? /schematicaReplace brick_block concrete[color=light_gray] does not work. I've tried every variation i can think of. Thank you for the mod, love it! How do i get rid of the ghost image when i put it down? I really appricate your work, and am wondering if there is possible to give donations. are you gonna release a 1.13.2 version ? does anyone read the previous comments from the mod maker? Let's hope this great mod get's updated soon, I miss it alot. 1.13 will be released when both Forge and the mod are in a stable state. No ETA. I'm hoping to get the owner of the server I am on to let us use schematica. Is there any way to disable printer mode in the config, as that is the main issue for us not being able to use it? Also, we are on 1.12.2 if there is a way. Towards the bottom of your schematica.cfg, there are configuration options for 'server'. You want to set 'printerEnabled' to 'false'. It's set to 'true' by default. You only have to do this for the server's config file. # Allow players to use the printer. forge 1.13.2 is released can you please update it to make it compatible with 1.13.2 thanks. If you red not only the comment below you but even further, you would have seen that your comment is almost the exact same as what everyone is sayin/asking. Do you really think lunatrius is not aware of that? If you were in his shoes would'nt you be annoyed by people doing what you are doing. This is a great mod and we owe him patience and some respect. He is not a machine where you can just press a button. Have some common sense people. jeez man you dont have to be so hostile.. It's not being hostile, those are simple facts. Those people constantly spamming the same question are the hostile one. Sure sometimes they add something more, being polite, but some comments are like people forget there's a human behind this and that he's even doing all of this for free. So, should we all spam "1.13, release the mod please." ? you know, you're right. I guess i let the frustration go to my head as well, i could've totally worded all of that differently. The first version of forge 1.13.2 was released the other day, excited for Lunatrius to release schematica 1.13.2 sometime soon. Love your mod, dude! will you be adding support for Rift? Can you add shader support please? Hey, minecraft 1.13.2 is out now. 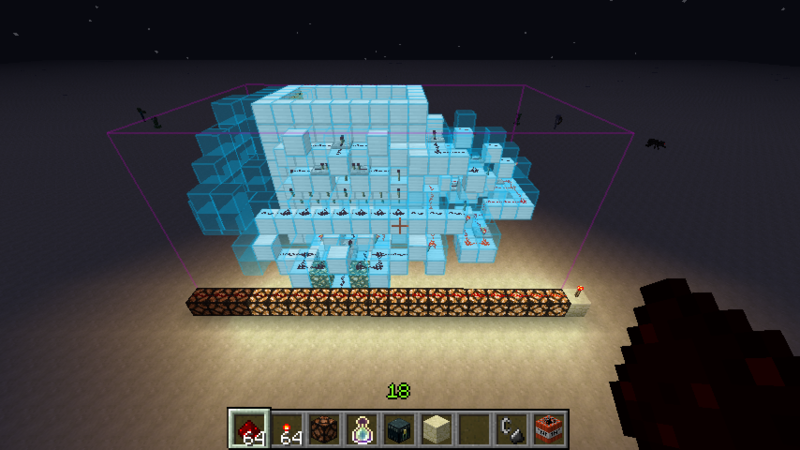 Can you make the Schematica Mod compatible with 1.13.2.